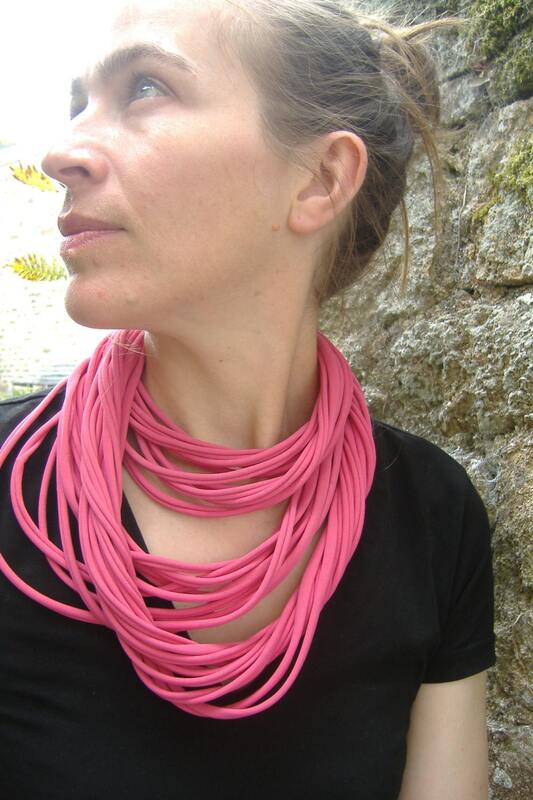 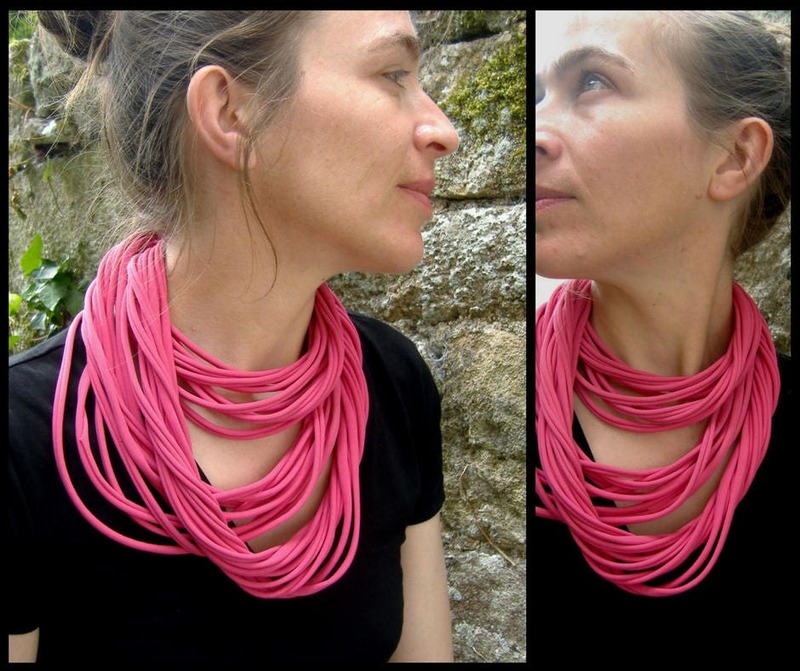 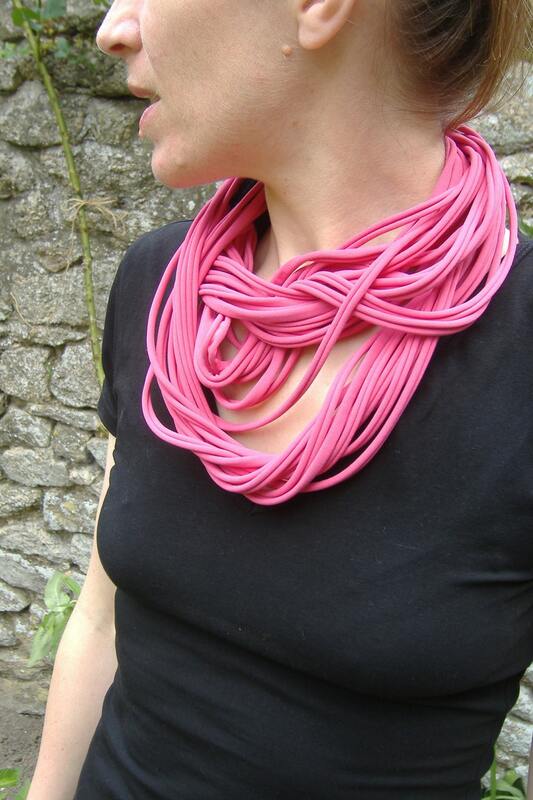 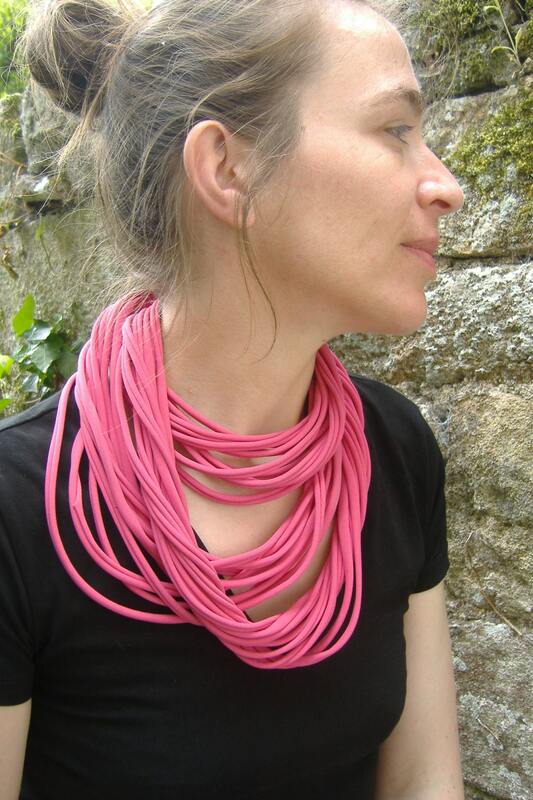 This Fabric Necklace "roll up" is Handmade in France . 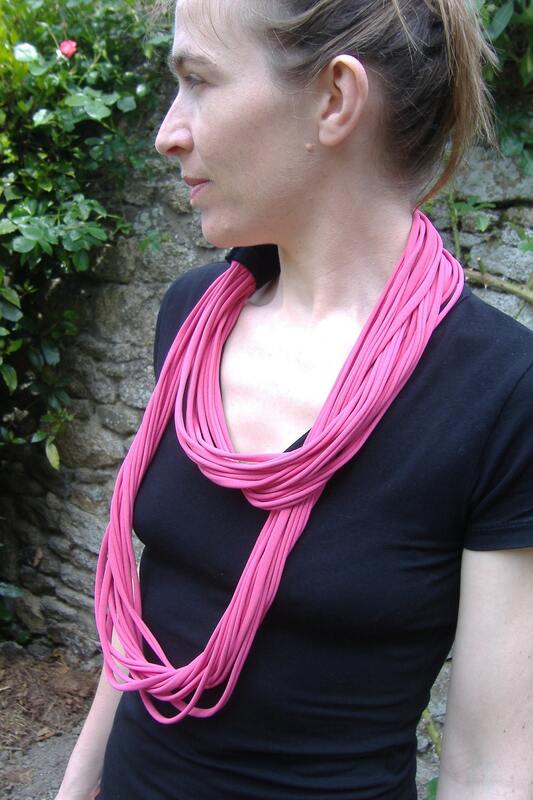 Pink Lycra fabric, it can be turned two or three around your neck. 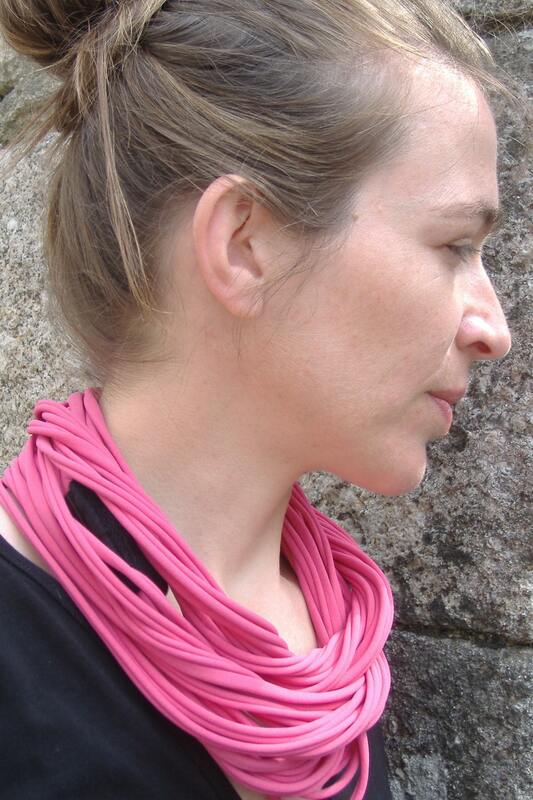 For France we also accepte checks (in euros).